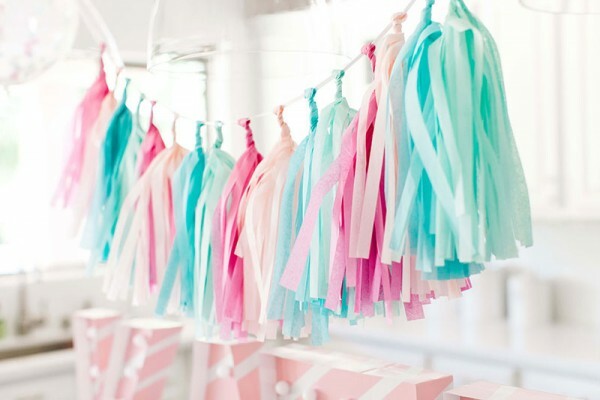 Set the scene at your baby shower with the most darling of decorations to celebrate your pending arrival of newborn joy. For the sweetest soirée, come discover what finds we’ve bought back to the Babyology nest! 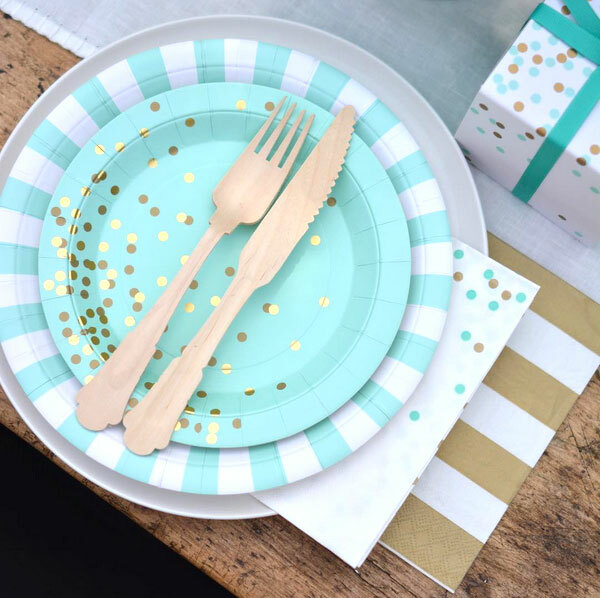 For disposable plates, cups, cake boxes and napkins we can’t look past the stunning Mint To Be range from Paper Eskimo, priced from $5.95. Delicious mint coloured paperwares dotted with gold confetti, it doesn’t get much sweeter than that! 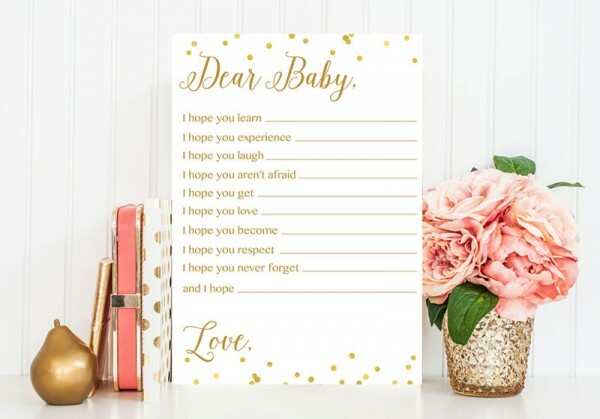 A fun activity to get all your guests in on some fun is with these Dear Baby cards. A gorgeous download and print style for only $7, they also become a great keepsake for the mum-to-be to look back on. From Pretty Collected. Mint, blush, aqua and raspberry all play a starring role in this stunning garland. String it up on a wall, from a door way or even hang it on the front of your buffet table. Candy Shoppe Tassel Garland Kit, $19.95 from Ruby Rabbit. What’s a party without balloons? 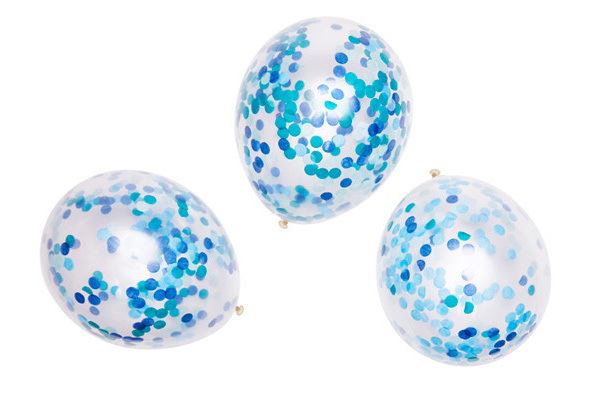 Amazing Poppies For Grace Confetti Balloons filled with multi toned confetti in either blue, pink or a pastel mix are available at Invite Me, $7.95 for a set of three. Bring some bling to your balloon banner with giant 86cm tall gold letters – they also provide a fantastic backdrop to photos for the day! 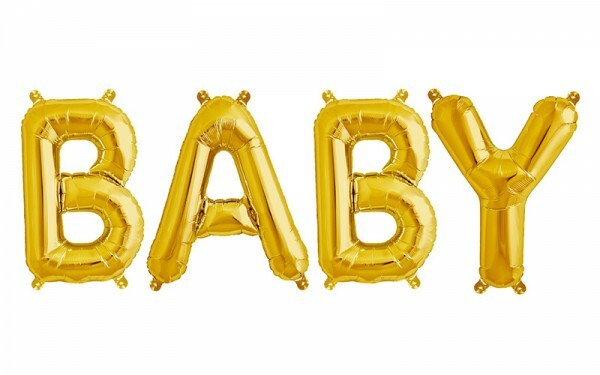 Baby balloon banner, $60 from Little Party Event Co.
For the cake (there has to be cake, right?) you need a cake topper. 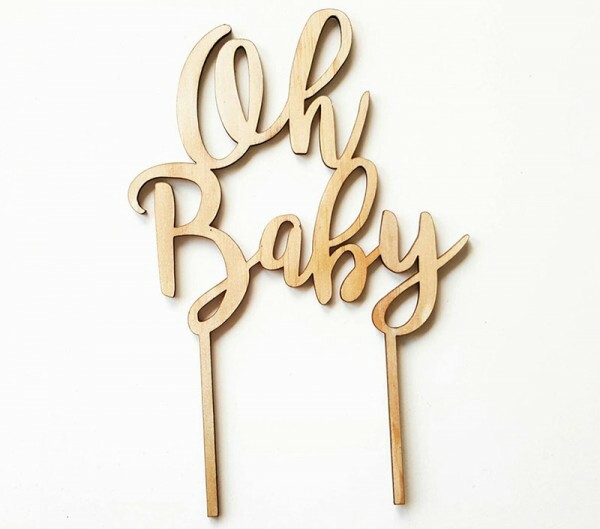 Wooden cake toppers are bang on trend thanks to their beautiful simplicity – and happy days, you can score this beauty from Katrina Louise Designs for just $10. 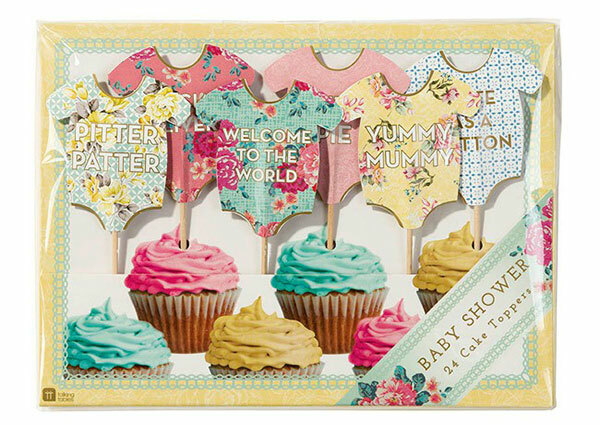 While we’re at the sweets table, why not add some vintage charm to the cupcake stand with a set of 24 Truly Baby Cake Toppers, $18.95 from Lark. Celebrate the mum-to-be by gifting her a superb rosette to wear and show off all day long. 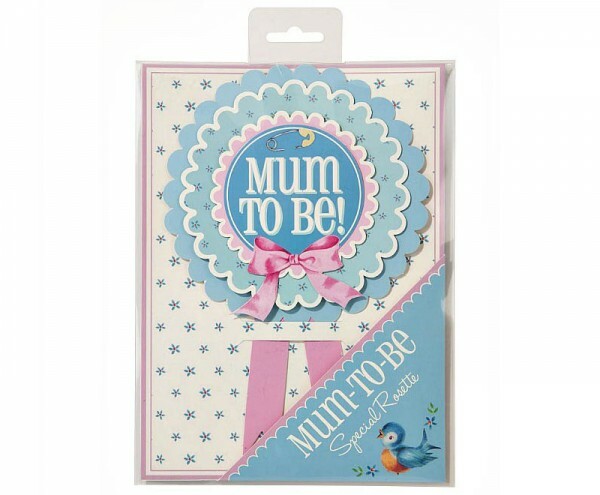 Mum To Be paper rosette, $4.95 from Lime Tree Kids. No sweets table is complete without biscuits and if any mama-to-be ever needed an excuse to eat onesie shaped biscuits, the baby shower is it. 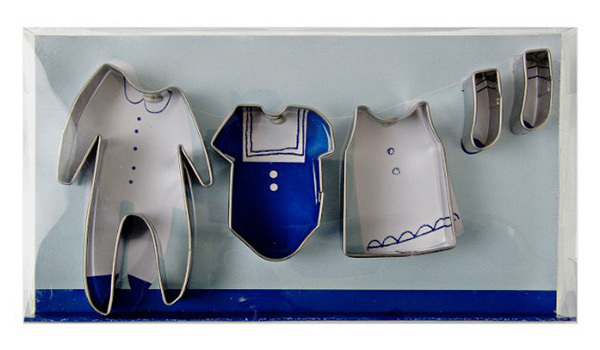 Make biscuit dreams come true with the Meri Meri Baby Clothes Cookie Cutters, $18.95 from Baking Culture. 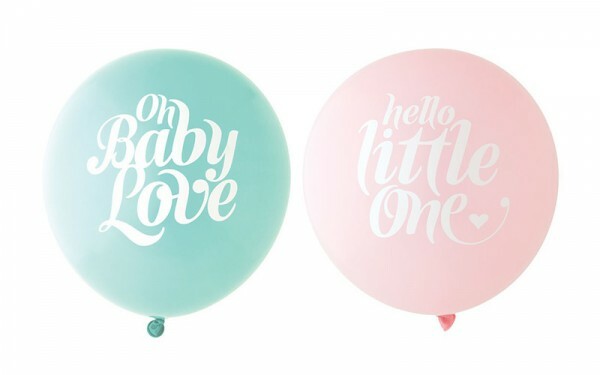 Add the finishing touch to your baby shower with typography balloons. Available in several colour choices, they’re $7.95 for three from Lark. 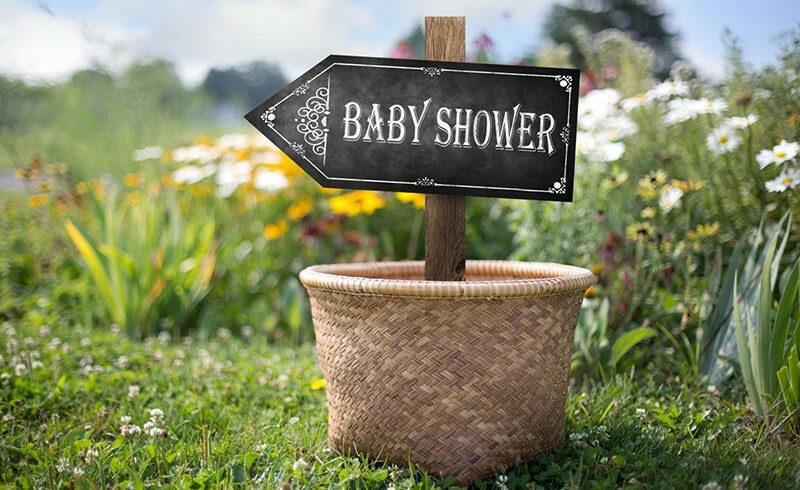 Mark the spot or show the way to your baby shower with a chalkboard sign (pictured top). For those of us who have no natural sign writing abilities, Etsy comes to the rescue with this glorious replica, simply download and print at home, $6 from Sasafras Printables.